the web's easiest online invoicing system. 1. 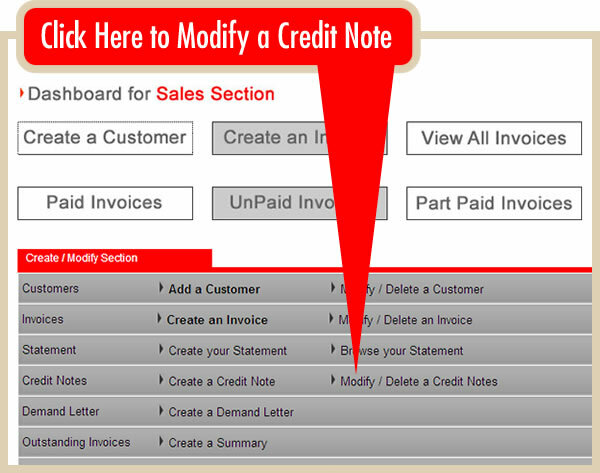 Once logged in, select the Sales Section and simply click on the 'MODIFY/DELETE A CREDIT NOTE' link on the CREDIT NOTES line (See diagram below). 2. 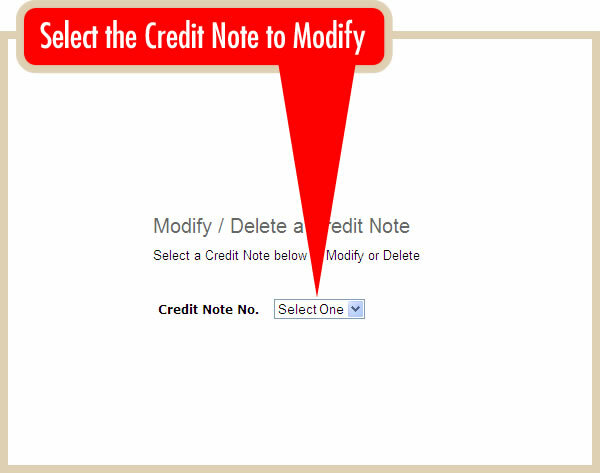 Select the Credit Note to Modify (See diagram below). sold. iinvoicing is an excellent for most small businesses including photographers, designers, IT professionals, journalists, copywriters, architects, bookkeepers, etc. Basically, if you need to send invoices, whether you are a freelancer or run your own business iinvoicing is perfect. modern web browser. There's no need to download anything or confirgure anything. How will my clients receive my invoices? iinvoicing invoices are typically sent via email. You may also print your invoices if you want. Can I add my logo to my invoices? Absolutely. 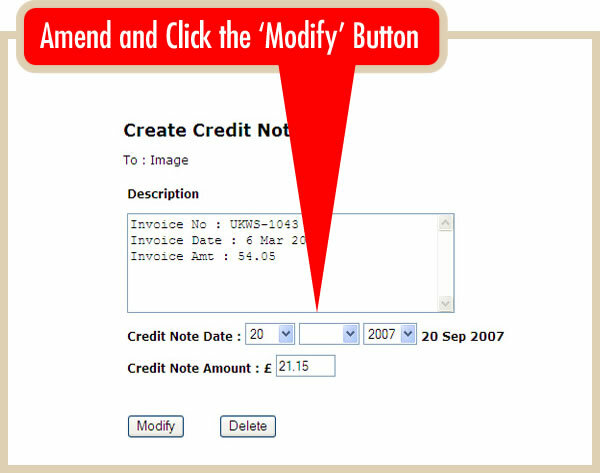 You can upload your own logo to make your invoices look as if they have come straight from your accounts department. a reseller please click here. © Copyright 2004-2011, iinvoicing. All rights Reserved.